Macedoine vegetables – for those that love their vegetables! A macedoine vegetables is very much the same as mirepoix, but the vegetables are cut into a much smaller and neater dice shape. 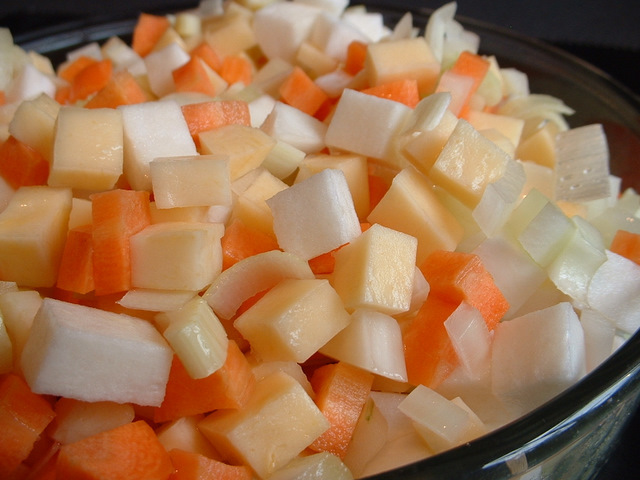 A mirepoix of vegetables is very much the same as macedoine, but the vegetables are cut into larger dice shapes.